what do you say when you host a luncheon for 41 and you see one guest flying one of your ROSE’S heavenly CAKES: Baby Chocolate Oblivions (page 371) across the room on to the trash can? what is there to say but — —- !!! Oh no, what a waste! I would be fuming! Do you know why that person does it? J, this happened in front of my eyes, i call it an athletic event, seeing it been tossed across the lunch room and drop on the trash can. not everyone knew i made the cakes. the person expected a traditional full bite cupcake, so he did take the bite and choked. the chocolate oblivion is too much to be eaten on one bite, definitely better enjoyed as a plated dessert and fed by the spoon. in other words, partially my fault. Having made the chocolate oblivion, saying it’s different than cupcake is an understatement. It is vastly different. I feel the oblivion is like a chocolate bar, it’s very dense and rich. So I do understand that the guy would choke and taken by surprise. Regardless, I feel so bad for you! Such a labor of love and seeing it tossed across the room must not be very good. True what you said, there’s probably should be better communication. Maybe a little description of the cake next time? So at least people are forewarned. In my experience there is always someone who doesn’t like a particular dessert or even prefers the usual boxed cake mix stuff. I think its a matter of education of the palate and also just personal preference. I wouldn’t be too offended as it pretty reasonable to expect that some people are not going to enjoy even the most expensive and lovingly created dessert. thx everyone for your support. i have sheltered myself and my cakes to a very specific niche, and every now and then i am exposed to a wider world. this was an informal luncheon party for 41 people; announcing myself or my cakes was not planned. but regardless, tossing food to the trash, specially when it is given to you as a guest, is out of my repertoire! but it was an honest reaction, and often i question myself: when i am present, to explain and serve my cake, are my guests just been polite or do they really enjoy the cake? I would not question your cakes or your ability. I know it is hard when someone rejects your work because you put so much love into it but it really is true that there is always someone who doesn’t like something- especially food. Do not question your skill or judgment- you are clearly a master baker. One thing I realise too, is that, not everyone will always like what you make. Am learning to take it in my stride as well…but if the majority likes it, am on the moon! 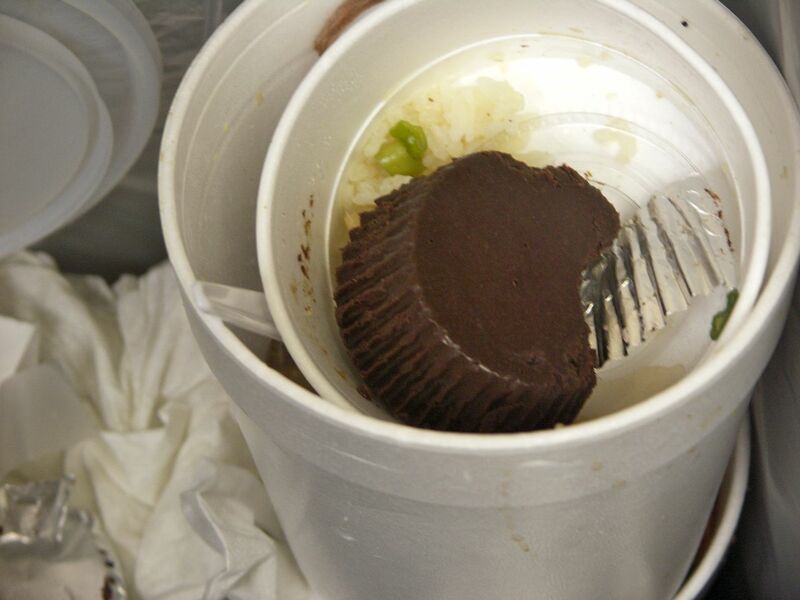 Chocolate lovers would mourn over that wasted cupcake. Being disrespectful to food…we need to be sensitive about these things…its food. S, this will soon be forgotten. Like the memory when I was 15 yo and made mi uncle’s wedding cake, some unhappy bride party members were pointing that my fondant work was too thick!